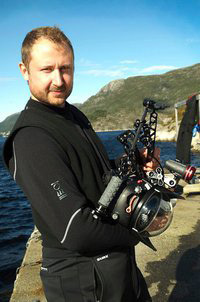 Lars is one of Scandinavia's very experienced photo/videographers with many years of working as both an active member of the Scandinavian Underwater Community, an underwater photographer, studio photographer, TV-videographer and as a Graphic Arts specialist. At present one of the most active and knowledgeable underwater writers, bloggers, teachers and speakers in the area, doing several talks and workshops every year and judging numerous photo contests. So don´t hesitate to get in contact when you need help with choosing your new imaging equipment.